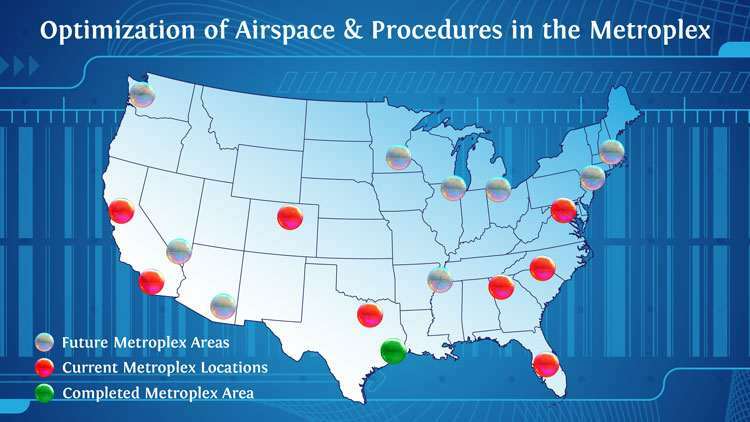 The FAA analysis of their new system tracks 24-hour noise averages, finding that no areas that currently experience 45dB or more would have as much as a 5dB increase. Yet these figures both obscure the impact of a transient minute or two of sound (especially late at night), and, remarkably, don’t even aim to assess impacts on areas with current sound levels of below 45dB. This is apparently because of a primary focus on noise impacts in populated areas; 24-hour sound levels of 45-65dB are common in these areas, and the FAA determined that their plan wouldn’t significantly add to this. However, in quiet natural areas, where sound levels are often well below 45dB, each burst of sound at or above that level can be clearly audible and disruptive. And, some populated areas are seeing radical increases in flights; a particularly extreme example is Happy Valley, outside Santa Cruz, where overhead flights increased from an average of 3 per day to almost 150. 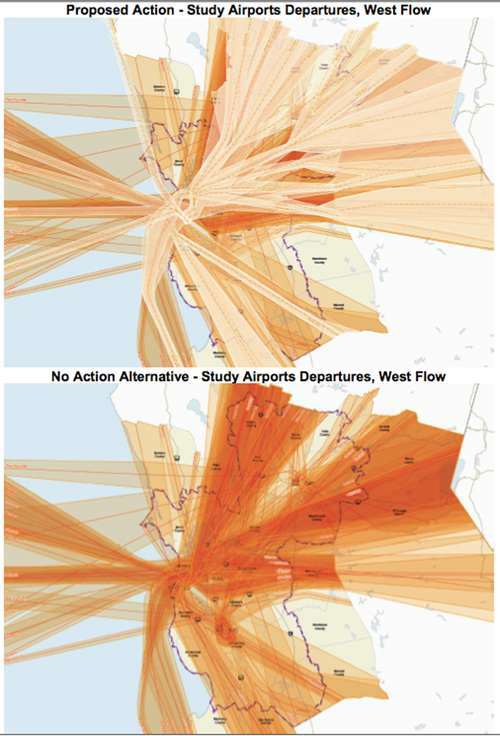 Rocchio is particularly concerned about a new corridor over the central part of Point Reyes, which had been a refuge of relative quiet; flights were reduced in some less-remote parts of the National Seashore and are now concentrated in its wild heart (see image above; paler overlay at top shows new concentrated flight corridors). NPS requests that flight paths be diverted offshore were rebuffed, in part due to airspace there that is closed, due to occasional military flight activity there. Fifteen years ago, discussions were underway to open some of this area up for commercial flights, but after 9/11 the Pentagon suspended these talks and decided they needed access to it at all times (a stance that’s familiar to ocean noise campaigners, who have been trying for years to set a few areas off limits to sonar training). As for Yosemite, the FAA “metroplex” planning area did not extend that far east, so no changes were considered there. Issues like this have also plagued the nationwide Air Tour Management Planning process, a supposed collaboration between the FAA and NPS to manage helicopter and small plane tours over national parks. Fifteen years of meetings have come up empty so far, largely thanks to conflicting approaches to measuring noise and conducting environmental impact analysis. The contentious Grand Canyon overflight plan process predated the ATMP legislation and was completed by the NPS (and abruptly disrupted by Senators McCain and Reid in the home stretch). There is some effort underway to find a legislative fix for the impass, perhaps offering the NPS more of a lead role in the EIS process, while also allowing for voluntary air tour agreements in smaller parks with few flights.